This J-term, students in the Investing and Financing in and with China course had the chance to take a behind the scenes operations tour of the Andaz Xintiandi Shanghai—a hotel created by the US-based Hyatt Hotel chain. The site visit and meeting with the hotel GM was just one of the many opportunities students in the popular J-Term course had to engage with investors and professionals doing cross-border business in and with China. 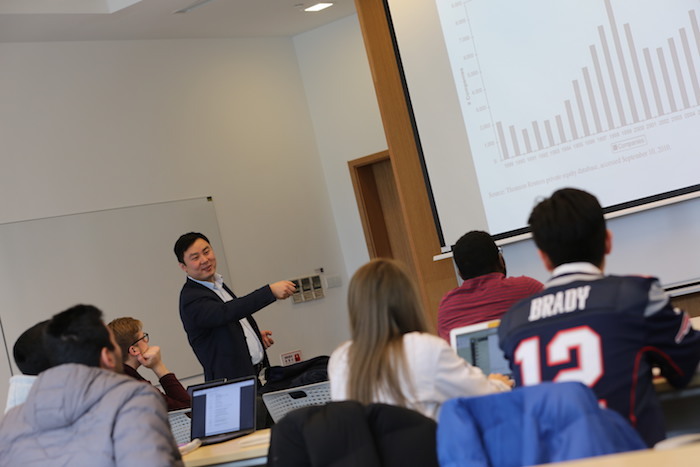 The course, taught by Professor David Yu, challenged students to analyze and think deeply about questions such as: How do Chinese entrepreneurs invest in a dynamic country and abroad? What are the leading opportunities in Chinese markets today? How are overseas capital and domestic Chinese firms reshaping global business? Students tackle case studies, hold in-class discussions, listen to guest speakers, and as in the visit the hotel, meet industry leaders in their business environments. They give group presentations on various cross-border cases, and also write individual papers. “It's about real experiences and trying to link what we learn in cases to real-life situations,” Yu says. A range of past guests have included law partners, bankers, Private Equity investors, Venture Capitalists, CEOs, and CFOs from India, Singapore, the U.S and China. 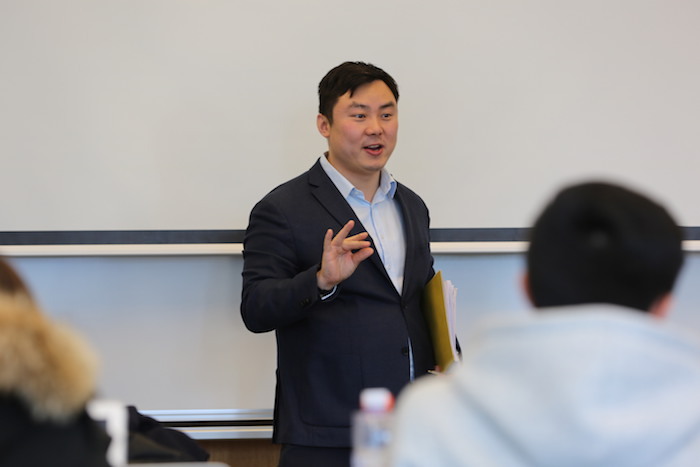 Yu, a member of the NYU Shanghai Center for Business Education Research (CBER), teaches from his extensive experience. He’s managing director, chief investment officer and co-founder of Inception Aviation Holdings, a family investment and advisory group, and is a recognized expert in cross border finance and investing. He is also the chairman of China’s first and only specialized aviation valuation consulting firm. The course is especially geared towards junior and senior business and finance students, but it also attracts students from economics, data science, and NYU Shanghai’s new interactive media business major. Visiting NYU Stern and CAS students are also enrolled in the class. Although the content has been condensed into seven January term sessions, Yu says, “there are so many variables and sub-segments that there’s really enough for a cross-border investing and financing minor.” Yu also teaches a semester-long version of the course and has even tailored it for MBA, masters students, and executives.